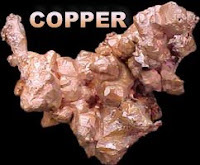 Copper prices eased slightly on Monday, as the escalating Libyan crisis spooked investor sentiments after latest developments in Middle-East and North Africa underpinned fresh spike in crude oil prices. The red metal prices saw some selling after a steady start as investors booked profits on the back of widening clashes in Libya which stoked fears of spike in inflation since the country was on the brink of a civil war. Copper for three-month delivery on the London Metal Exchange shed 0.2% to $9,875 a tonne.